Black smudge or black spot in goldfish is probably one of the most commonly seen goldfish health problems, and one that has many different potential causes. 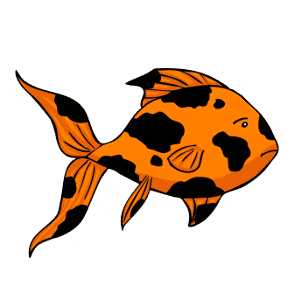 Black spots or smudges are often indicative of disease or illness in the goldfish, and many goldfish will display blackening across part of the body or the fins and tails over a long period of time without the condition worsening greatly or appearing to have a massive impact upon the health of the goldfish. However, black spots or smudges should not be considered normal and it is important to do what you can to tackle and treat the problem. Black smudge or black spot is pretty much self explanatory – your fish will begin to show spots or patches of blackened areas on the skin, fins or tail, which may be progressive or may be limited to just one small area. 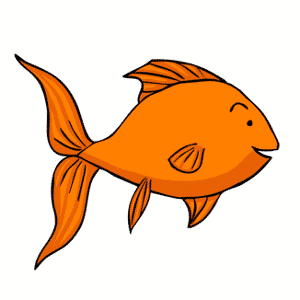 If you are buying a new goldfish, check them over first to make sure that they are not showing any black smudges or patches, other of course than on goldfish varieties that are supposed to have patches of black on them! What causes black smudge in goldfish? This is rather a big question, as there are many potential causes! Black smudge may be caused by very high ammonia levels within the water, as a kind of chemical burn, so it is vital to monitor your water quality, test for ammonia and correct any imbalances that you observe. Black smudge can also come about as an immune response to the presence of other species of life within the goldfish tank; aquatic snails in particular are commonly linked to triggering black smudge in goldfish and other fish. High levels of bacteria or generally poor tank conditions, a dirty tank, or poor water conditions can also lead to black smudge in goldfish. How can black smudge be treated? Finding the root cause of black smudge is the only way to treat the condition, as once you have removed the source of the problem, the condition will correct itself over time. So check your water quality and test for high levels of ammonia or anything else that is out of balance. If you keep aquatic snails with your goldfish, you may find it necessary to remove these from the tank, and it is best not to introduce snails into the tank in the first place for this reason. Generally, providing a balanced diet, taking care of your tank’s water quality and filtration, and promptly treating any illnesses will ensure that black smudge does not affect your tank, or resolves itself quickly should it be present.